Free wedding graphics like wedding cliparts are great tools for embellishing your wedding details including save the date cards, wedding invites, favors, wedding tees and more. For couples on a budget, you'll want to find as many discounted and free services as possible. Listed below are great sites where you can find wedding graphics and cliparts free of charge. Romantic Wedding Graphics Printable wedding clip art and hearts graphics - free downloadable bride and groom clipart for scrapbooks, wedding crafts and favors, or desktop publishing. Microsoft Clipart offers a good selection of free wedding cliparts, ranging from pastel wedding cakes to ethnic couples in wedding attire to colorful, contemporary wedding images. Clipartsandcrafts.com Romantic and fun clip art images and borders for wedding, engagement, anniversary cards, scrapbook pages,gift tags or favors. 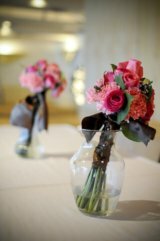 CoolClips.com has free clipart organized thematically in wedding categories, including flowers, cakes, rings, and miscellaneous. 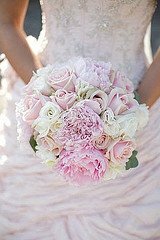 clipart.edigg.comhas an assortment of wedding images available free download. BridalAssociationofAmerica.com Bridal Association of America's Clipart Page offers a good selection of free art, including cake cutting images, religious clips and Valentine weddings. Dailyclipart.net Daily Clip Art's Wedding Clips: Although there is only a limited selection of clipart here, they are colorful and unique. Higher-resolution graphics are available for a nominal charge. WP Clipart: A fair selection of graphics, including funny wedding clipart, couples, and reception images.